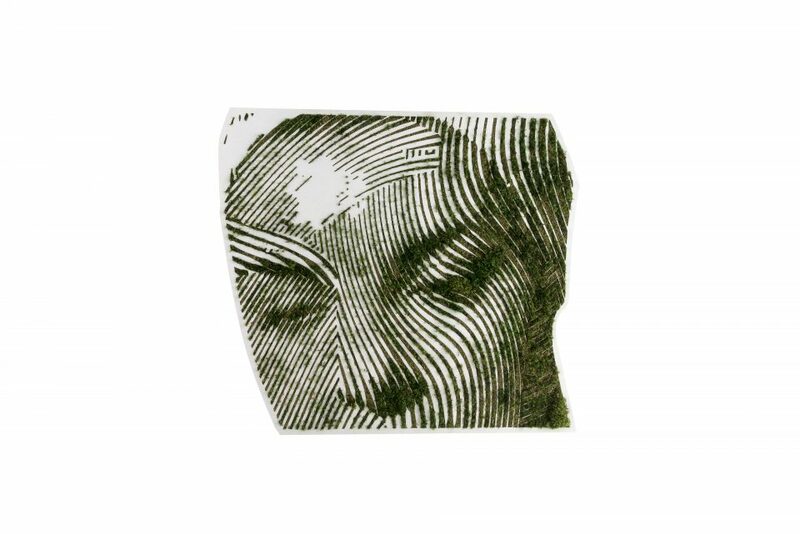 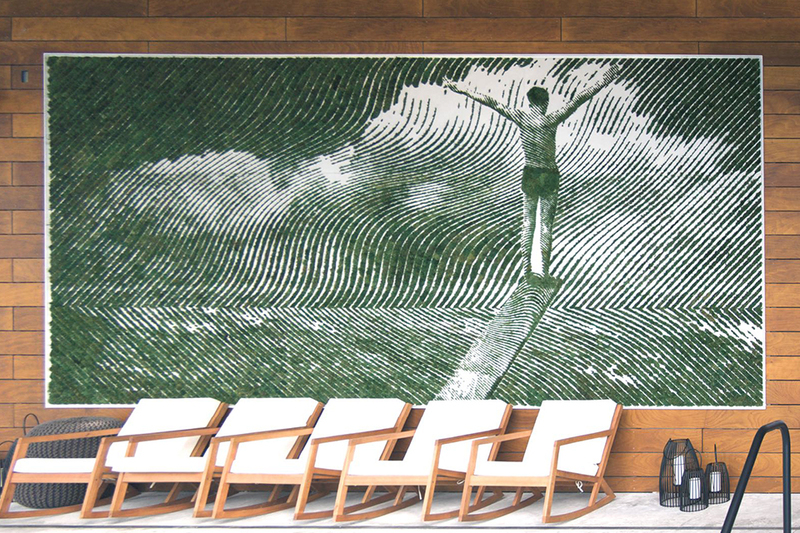 PALOMA TEPPA AND ANDREW ANTONACCIO COLLABORATION BEGAN IN THE EARLY DAYS OF THE WYNWOOD ARTS DISTRICT IN MIAMI. 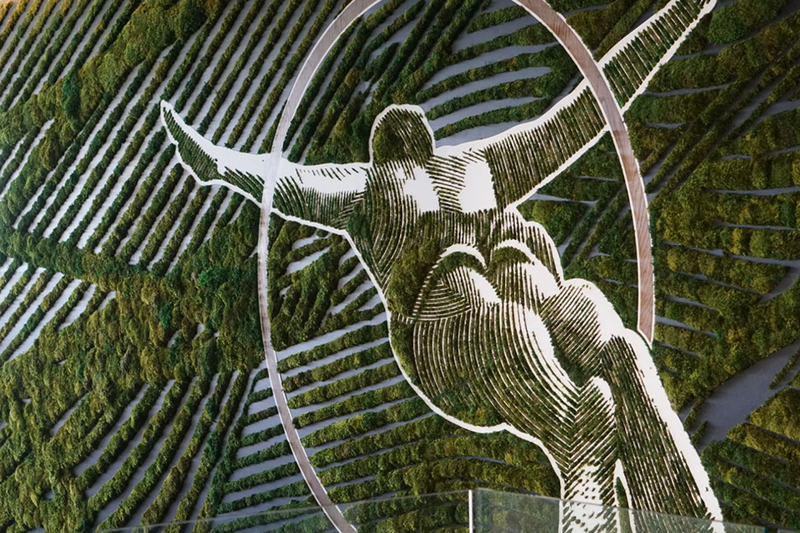 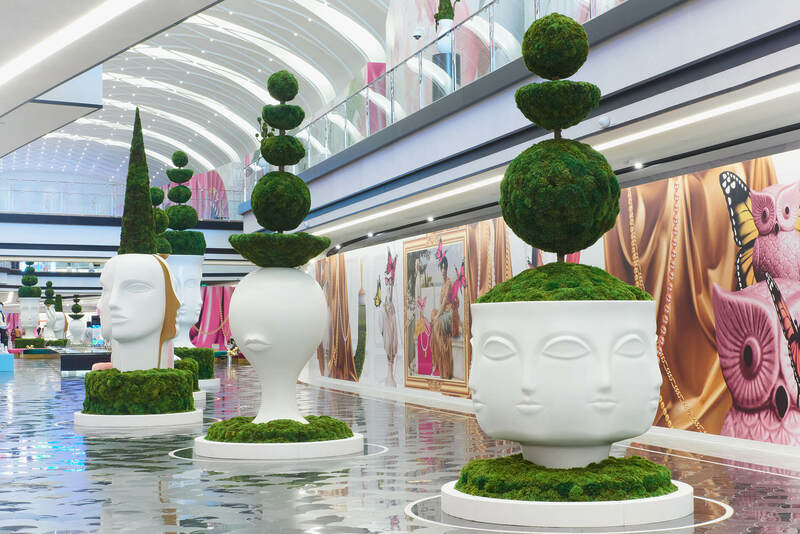 THEY SOON BEGAN TO COLLABORATE CREATING MURALS OF THE RECOGNIZABLE LINEAR STYLE IN ANTONACCIO IMAGERY PAIRED WITH TEPPA’S TREATMENT OF PRESERVED NATURAL MOSS. 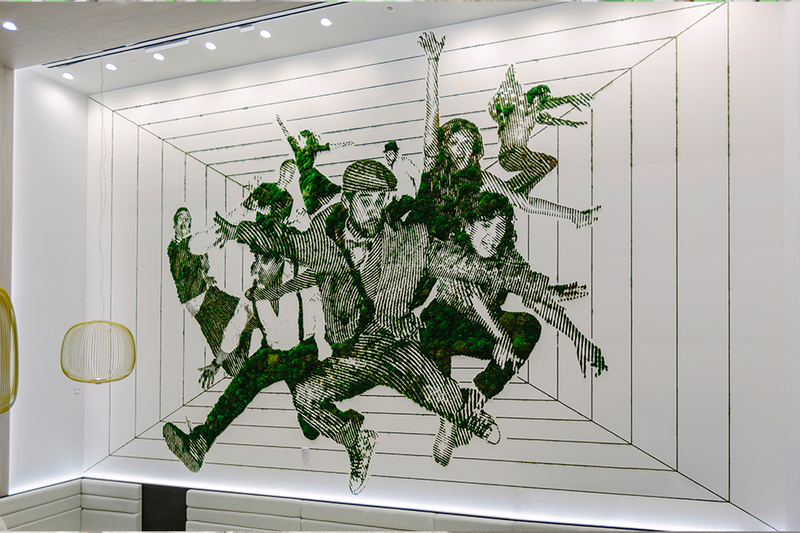 TOGETHER THEY HAVE PRODUCED OVER THIRTY WORKS RANGING FROM PUBLIC MURALS TO PORTRAITS AND PRIVATE COMMISSIONS. 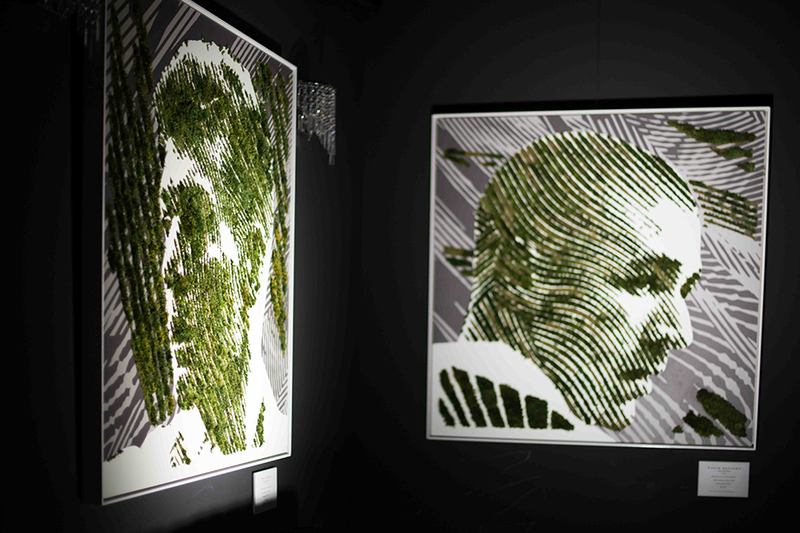 THE BEAUTIFUL GREEN GAME IS A BOTANICAL ART EXHIBITION SHOWCASING PORTRAITS OF FOOTBALL PLAYERS IN PRESERVED NATURAL MOSS. 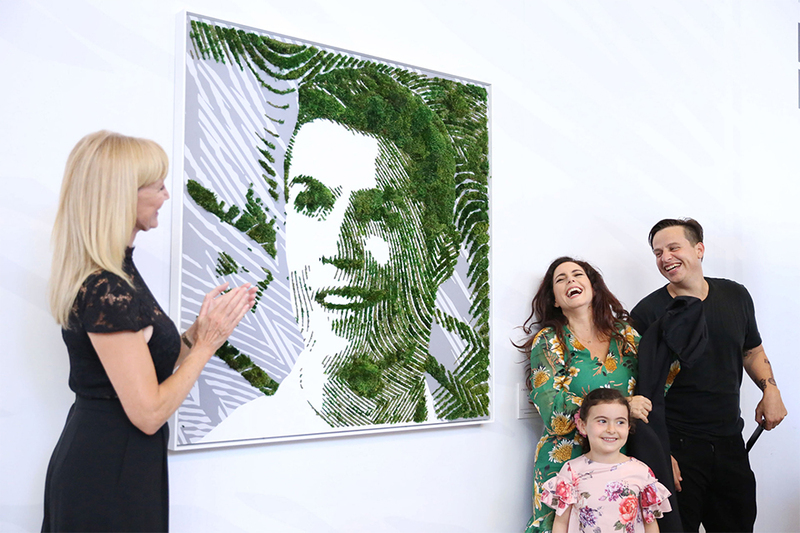 THESE WORKS CELEBRATE THE DIVERSITY OF OUR WORLD AND ITS UNIFICATION THROUGH ART, SPORT AND NATURE. 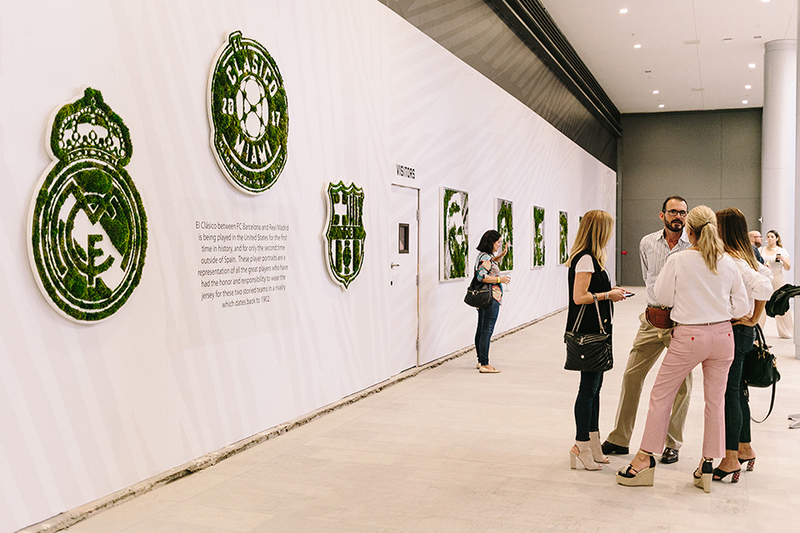 THE ELEVEN PORTRAITS REPRESENT THE NUMBER OF PLAYERS ON A TEAM AND FEATURE PLAYERS FROM EIGHT DIFFERENT COUNTRIES. 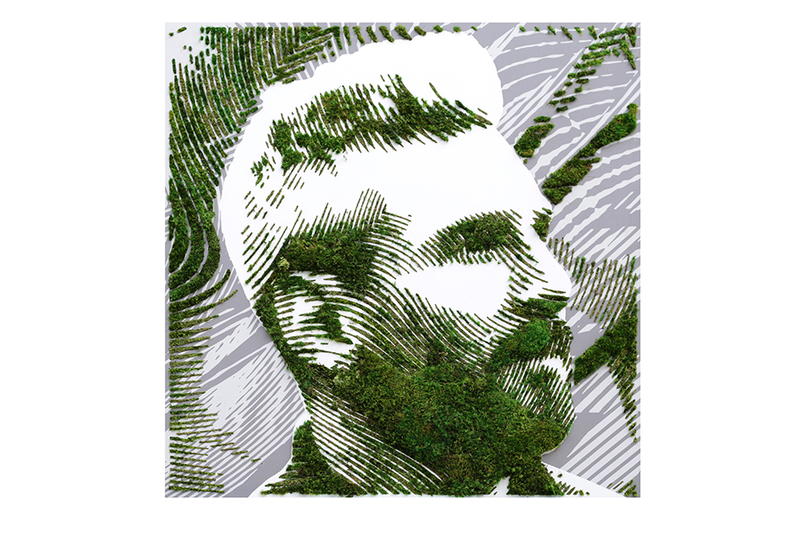 ALTHOUGH WE COME FROM DIFFERENT COUNTRIES AND CULTURES, WE ARE ALL ONE WITH THE EARTH. 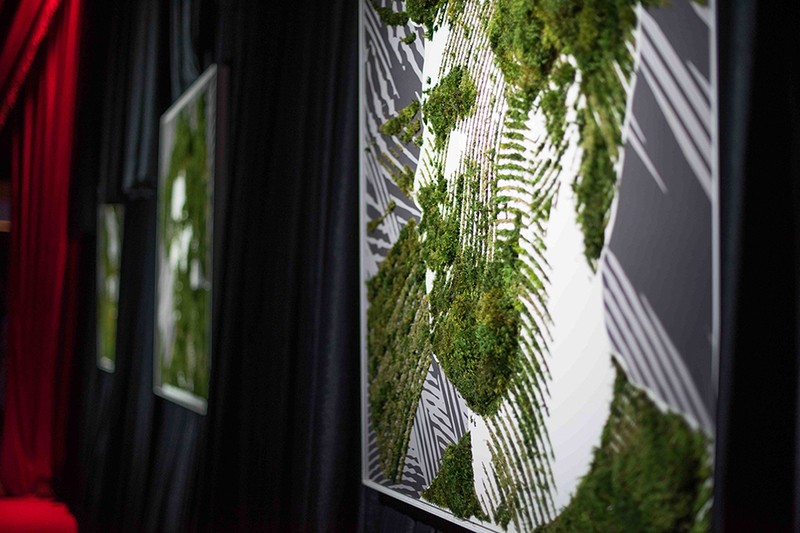 CREATION VISUALIZES THE FORCE NATURE OF NATURE, SIMPLE AND COMPLEX, INHERENT IN THE HUMAN SEARCH FOR TRUTH. 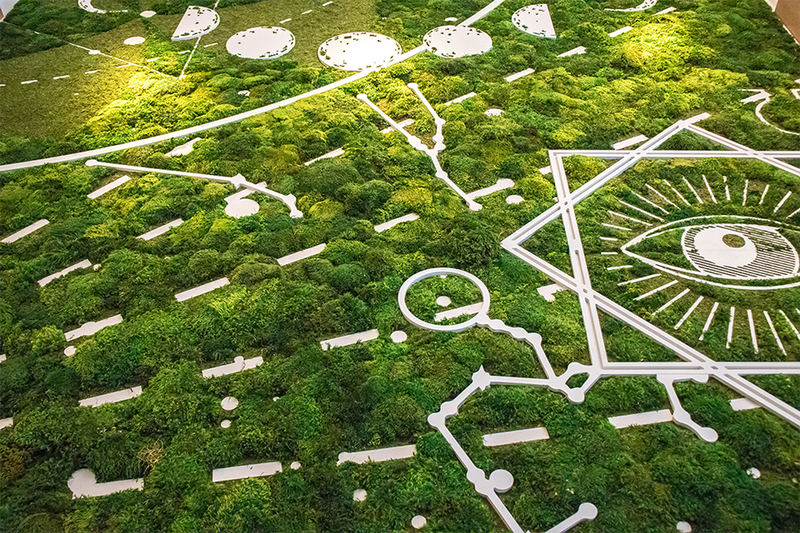 THROUGHOUT THE VAST SKY, PROMINENTLY FEATURED ARE SYMBOLS OF SACRED GEOMETRY, THE VISUAL LANGUAGE FOUND IN NATURE’S BASIC PATTERNS AND BEGINNINGS OF LIFE. 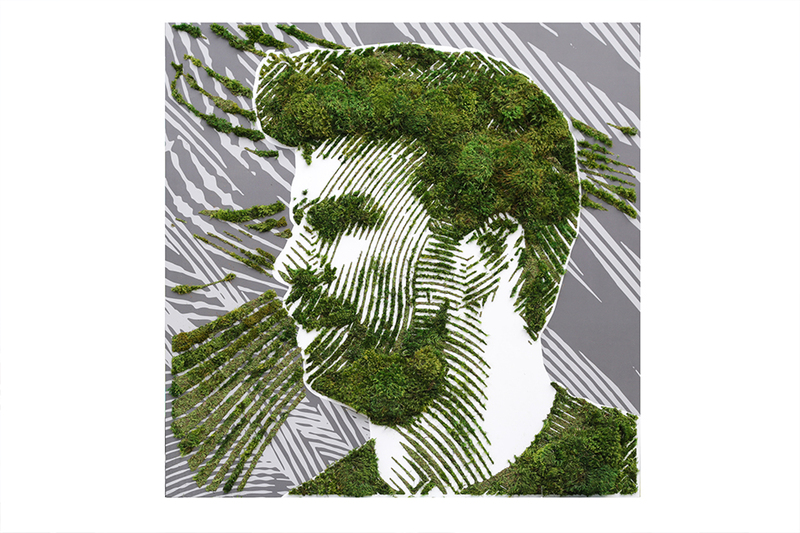 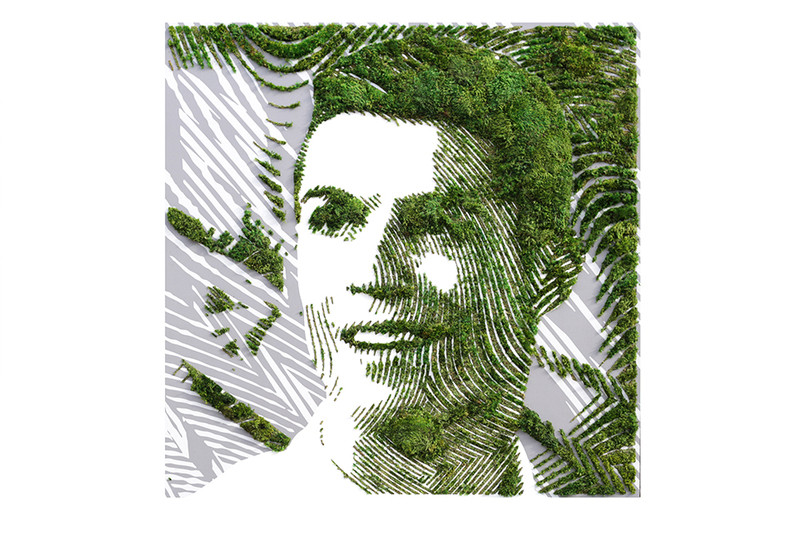 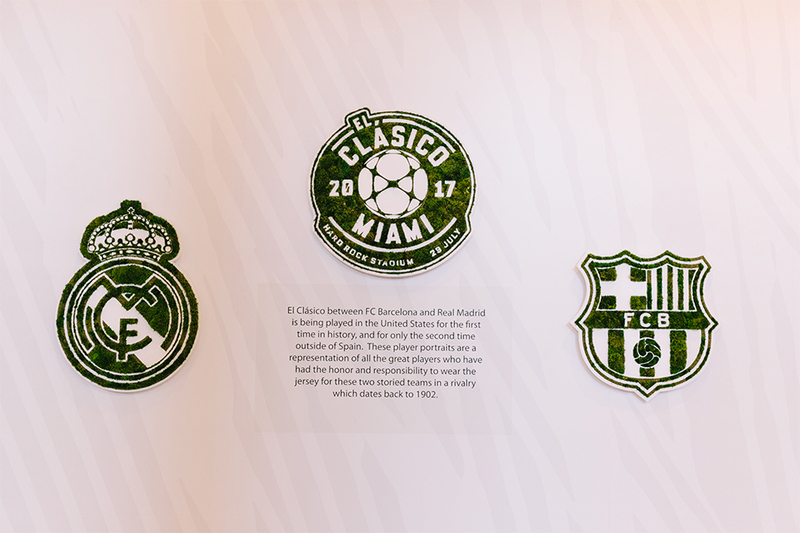 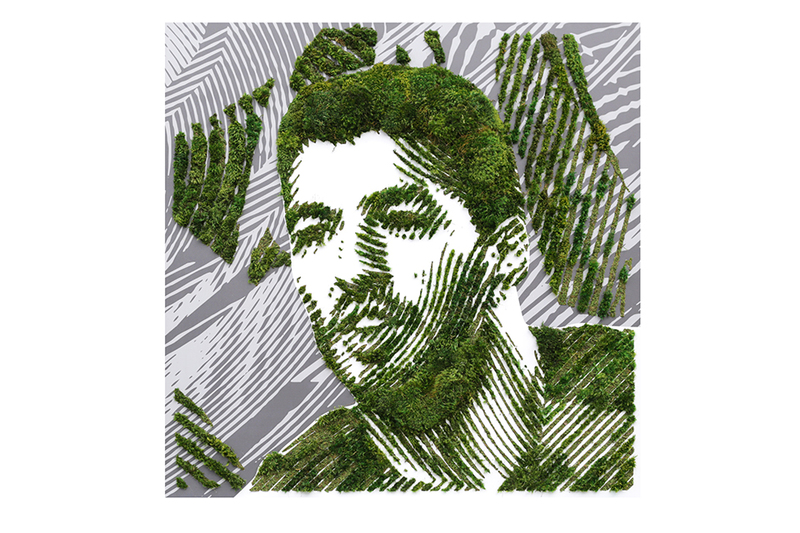 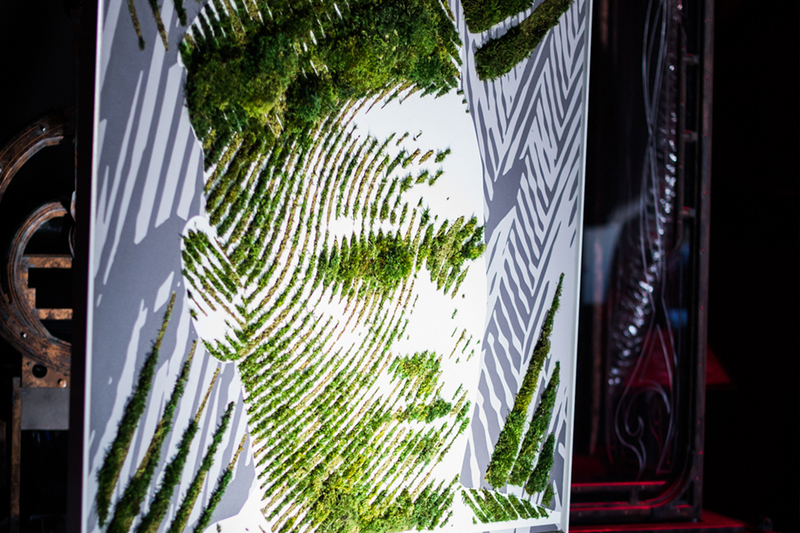 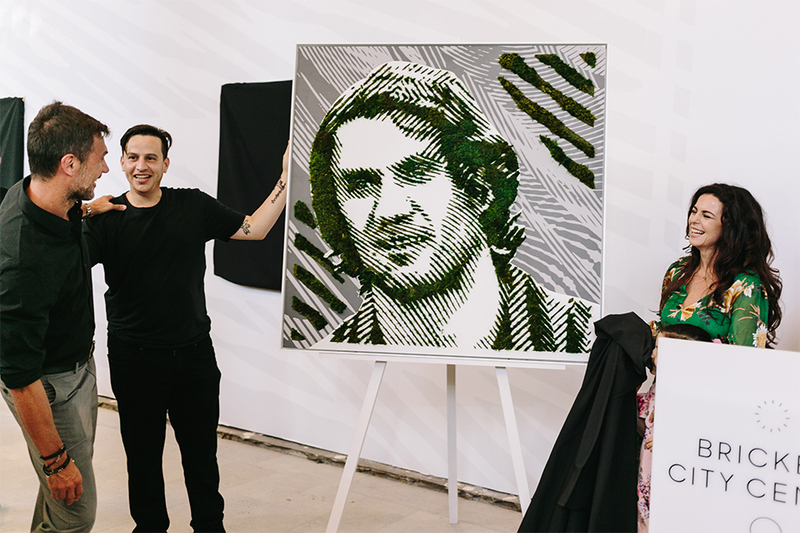 IN HONOR OF “EL CLASICO”, REAL MADRID VS. FC BARCELONA’S HISTORIC MATCH IN MIAMI ON JULY 29, 2017, ARTISTS PALOMA TEPPA AND ANDREW ANTONACCIO CREATED A FIRST-OF-ITS KIND EXHIBITION FEATURING A COLLECTION OF PLAYER PORTRAITS MADE OF NATURAL MOSS. 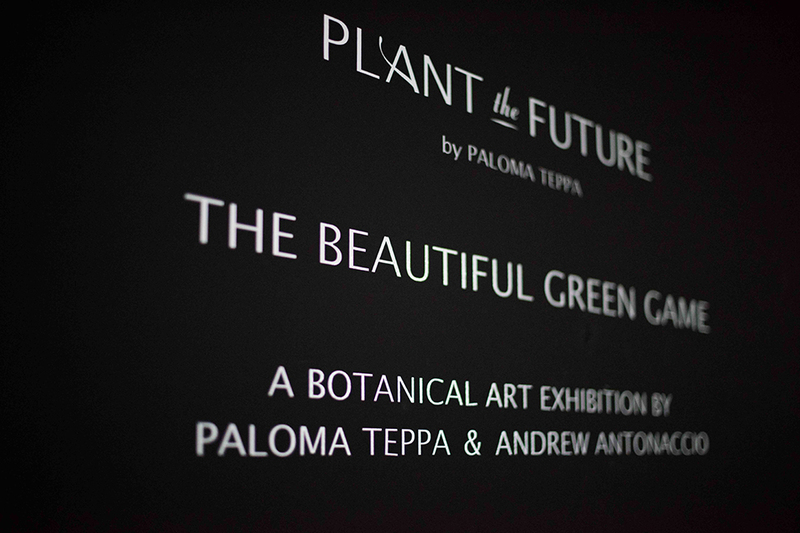 THIS COLLABORATIVE ART EXHIBITION EXPLORES THE INTEGRATION BETWEEN ANTONACCIO’S OPTICAL ART TECHNIQUES AND TEPPA’S WHIMSICAL WORLD OF PLANTS. 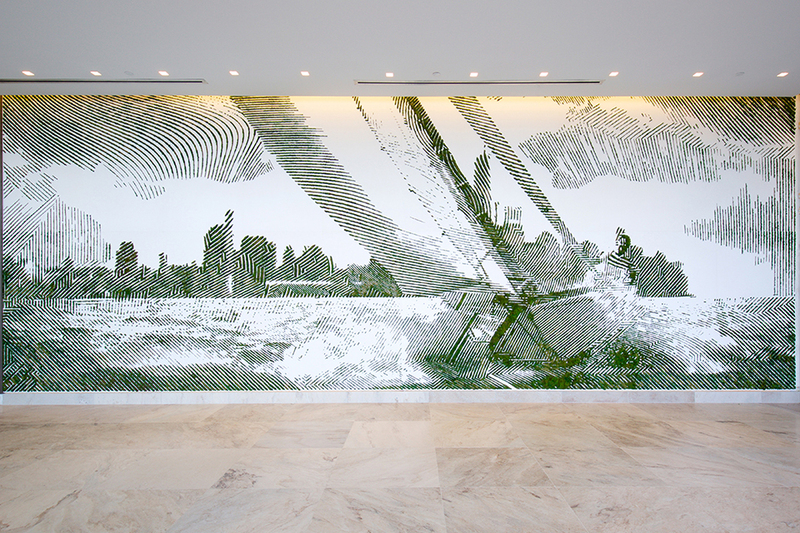 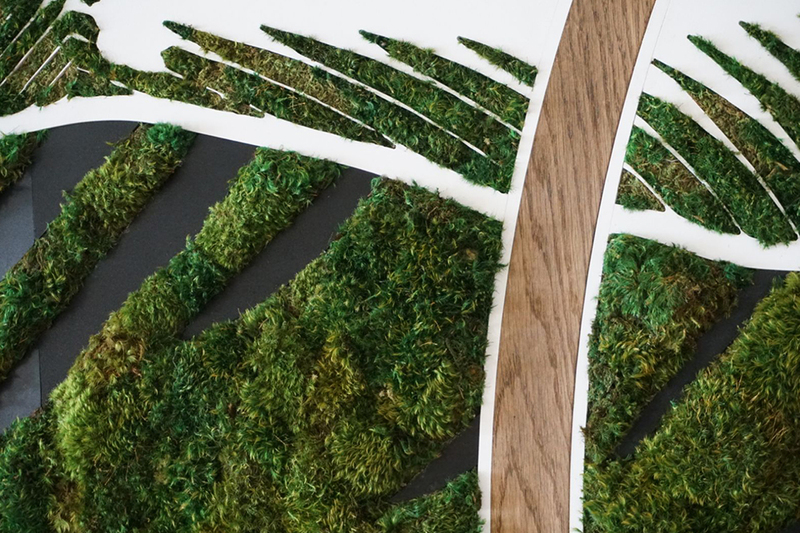 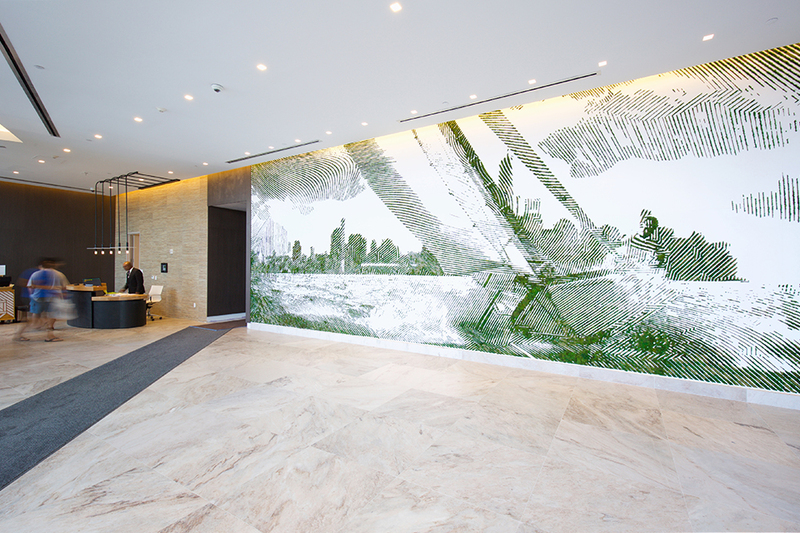 Innside Hotel commissioned a moss optical mural designed by Plant the Future and 2ALAS for hotel reception in Manhattan. 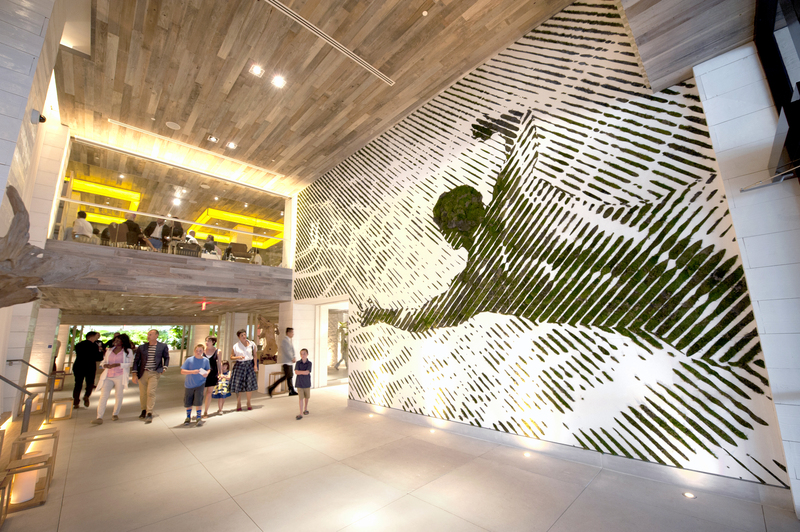 Leap represents the moment just after jumping into the air when we feel total freedom and fearlessness. 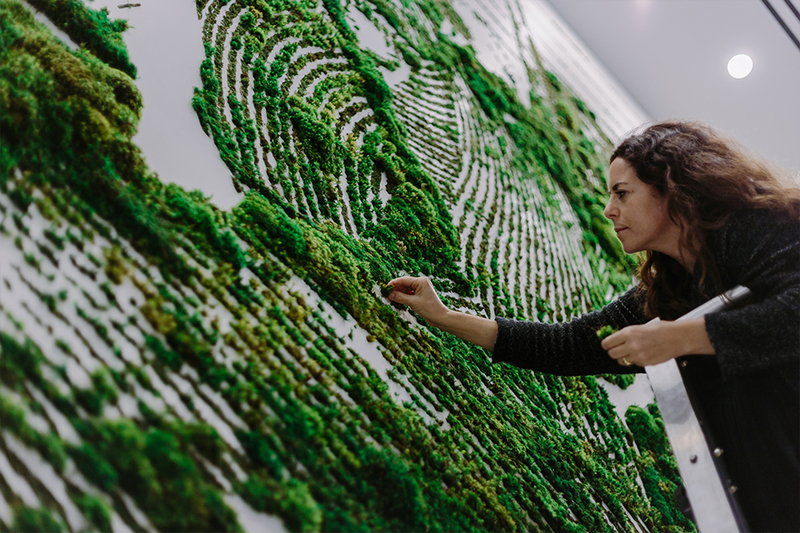 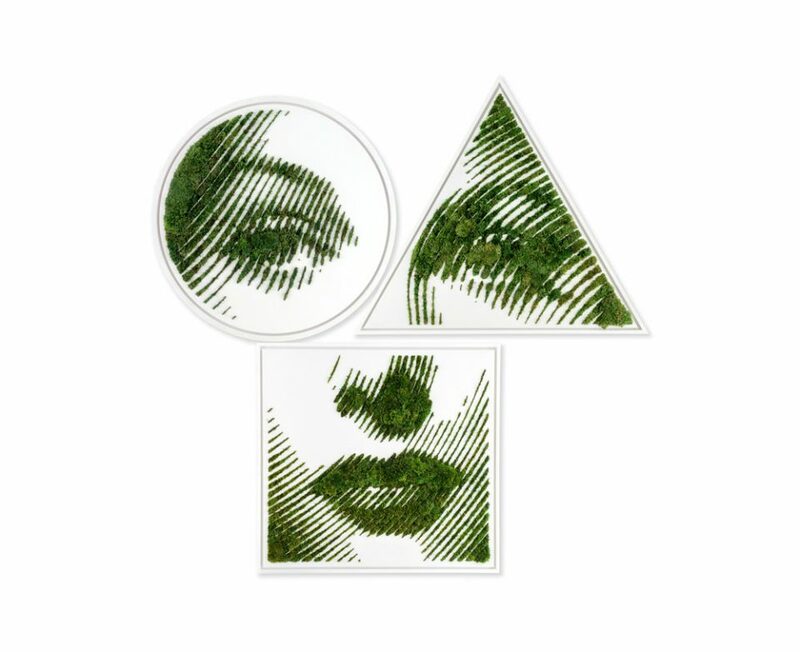 Plant the Future and 2ALAS designed a series of framed artwork using linear techniques formed by preserved natural moss. 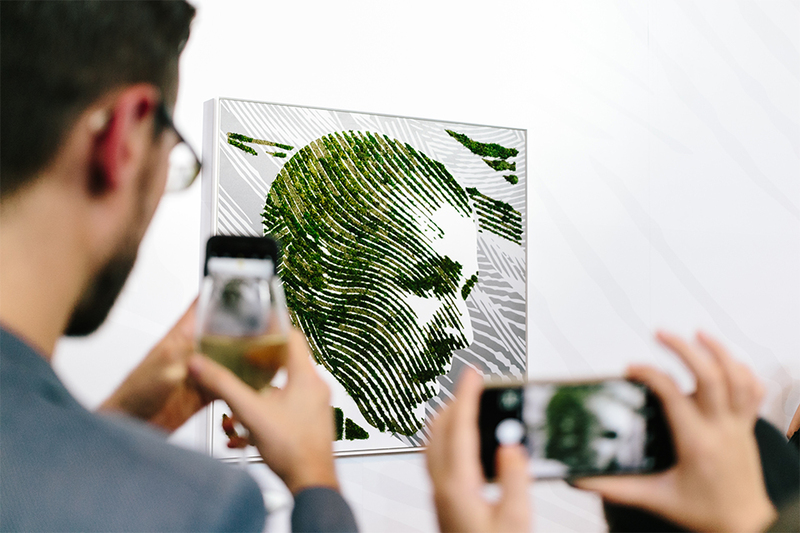 The subtlety of the lines create soft facial features that appear through the lens of a camera or from looking from a distance. 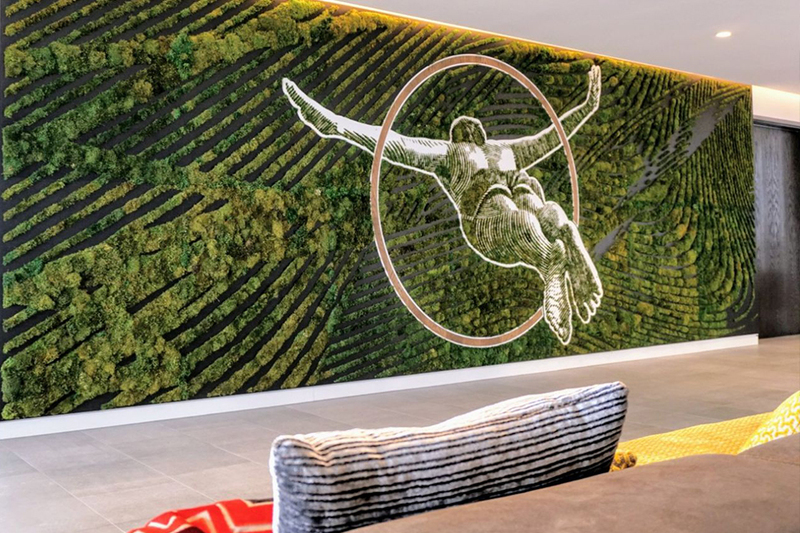 THE 1 HOTEL AND HOMES INAUGURATED WITH A CUSTOM MURAL FOR A PIONEER OF SUSTAINABLE HOSPITALITY. 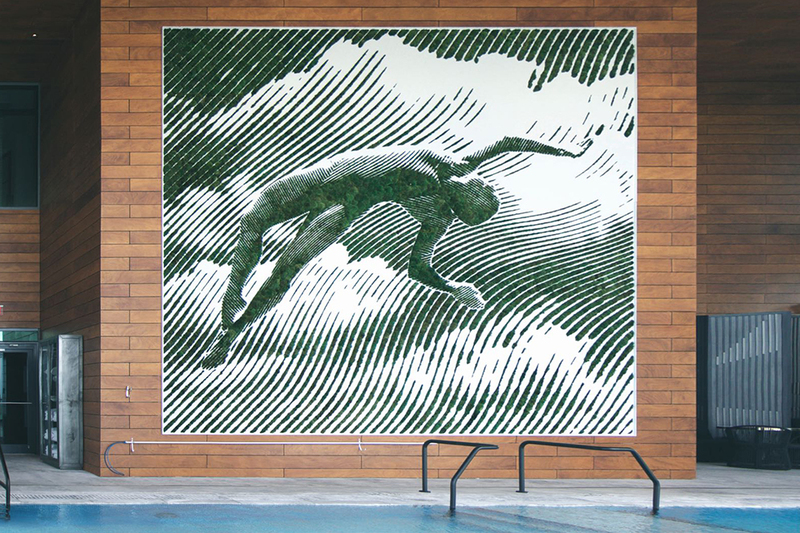 DAYLIFE SWIMMER MARKED THE FIRST COLLABORATION MURAL BETWEEN PLANT THE FUTURE AND 2ALAS.